Canine Champions for Veterans | Post-military service is better with a friend. We are a non-profit organization that helps provide trained service dogs to the veterans who need them. Canine champions offer assistance and friendship that can help veterans cope with post-traumatic stress. We’ve partnered with skilled trainers that prepare our canine champions for service to veterans. We carefully select each dog and pair them with the right trainer. 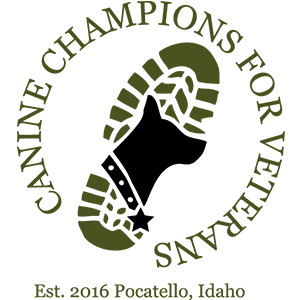 Once our canine champions are trained, we partner with veteran organizations. These groups carefully pair veterans in need with service dogs. There are many ways to get involved. Get in touch with us to see how you can help veterans find the canine champions they need.